While I'm thinking about it, I'll be fascinated to read your essay in The Doors Complete. Morrison must have gotten his "aim your arrows at the sun" from the myth of Herakles, perhaps refracted through Nietzsche. I always assumed it had something to do with [his] being a Sagittarian as well. I'm still struck by "the streets are fields that never die" and "The Crystal Ship" in general. I heard the original "Alabama Song" in Brecht's Mahagonny Songspiel, with its additional reference to "little dollars" as well as "little girls." I'm hoping to see Baal next week. I recall it as totally twisted early Brecht when I read it some years ago. But I'm spinning off again! You must tell me how your writing is going, if you have time to take a break for a short letter. I have been sketching out a play that I began five years ago, in disgust over our bombing of Libya -- it began as a political satire set in the Dark Ages, but I'm broadening it out to more universal issues of philosophy -- if I ever actually write it. It's far easier to keep moving, than to take the time to write at length, and with disciplined concentration. I have tried your stated method of early morning writing, but can't drag myself up until having to go to work, which is hardly satisfactory. Nonetheless, like Sisyphus, I continue to attempt it. I enclose a picture of Great College Street, mentioned by Rimbaud* in his letter of 5 July 1873. 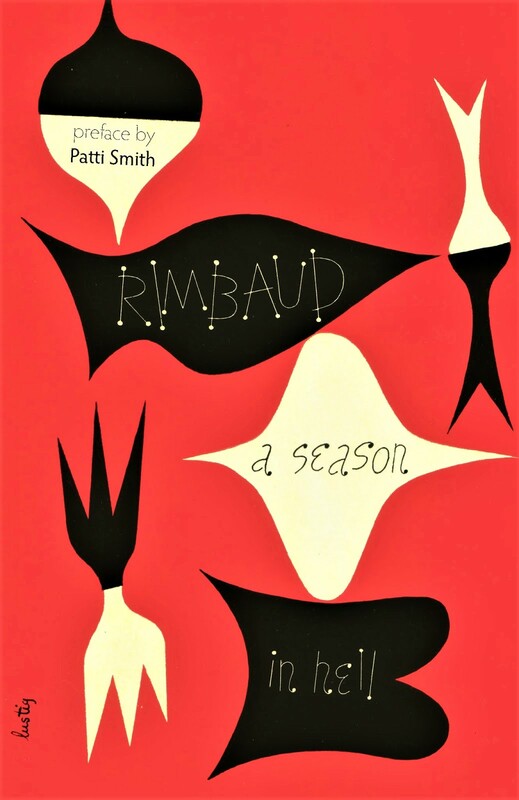 (I brought Rimbaud: Complete Works, Selected Letters, and have been reading in it, enjoying it, trying to figure it out). I looked up "Great Coll." and found it on a map, near Westminster [Abbey], behind the abbey grounds [close to the River Thames]. The walls of the abbey seen in the photo were there in 1873. Part of the street was demolished in the early 1900s. #8 no longer exists as such, only 5 & 10; there is a #8 Little College Street, just off Great College. I did some research at the Westminster Archives in the Victoria Library near Victoria Station -- which I, seriously, stumbled upon. They have old town books, maps & census records. From the census, one can paint a picture of the street life. There was an offshoot, very small, to Great College St., called "Black Dog Alley," for two houses. At 1 Gt. Coll. was a pub, the "King's Arms," and at 14, was the Westminster Female Refuge," with 14 unmarried "inmates," two boarders, two servants, and a headmistress. ["To afford a temporary home to fallen women wishing to reform." Charities Register and Digest (3rd edition). London: Longmans, Green, & Co., 1890, page 553.] Up the street, on Smith St., was a free public library, and further up, there were public baths and a wash house. Behind the abbey wall was the Close of the Collegiate Church of St. Peter, with a College Garden and Infirmary Garden. But besides the possibility that Rimbaud taught French here to pupils as a tutor, there is the fact that Shelley lived at 17 Gt. Coll., and Keats at No. 25 -- but there are no plaques to any of them. *** I found this information in books only, besides the census info. I stood by the street and read Rimbaud's letters, in broken French & in translation, evoking a century plus gone by, in a harmless exercise! If you know of other sites to see, including also the Doors, please let me know. I also brought Alcools (great translation), and working from "L'émigrant de Landor Road," found 75 Landor Rd., where Apollinaire stayed with his girlfriend Annie**** -- it's only a twenty minute walk from where I'm staying on Macaulay [Road], but Landor is a seedier street. [*All interesting social details, but Rimbaud's former pad on Great College Street is in Camden Town, about 3.3 miles away by foot, and since renamed Royal College Street. There is now, there, a plaque for Rimbaud and Verlaine. Here's a link to an article about it from 2017. **Julia C. D Byrne was probably Julia Clara Byrne (1819-1894), author of several books. ***John Keats (1795-1821) did live at this Great College Street.